I am not a fan of public speaking. So when I was invited to join a book club, my fight-or-flight response was activated. Don’t get me wrong, I enjoy reading. But the thought of reading aloud and discussing my inner thoughts about a book with a room full of strangers? But I (try to) tell myself, there’s no harm doing something new. So I headed to library@orchard to participate in Read-Aloud, a monthly book club that meets to, you guessed it, read aloud together. 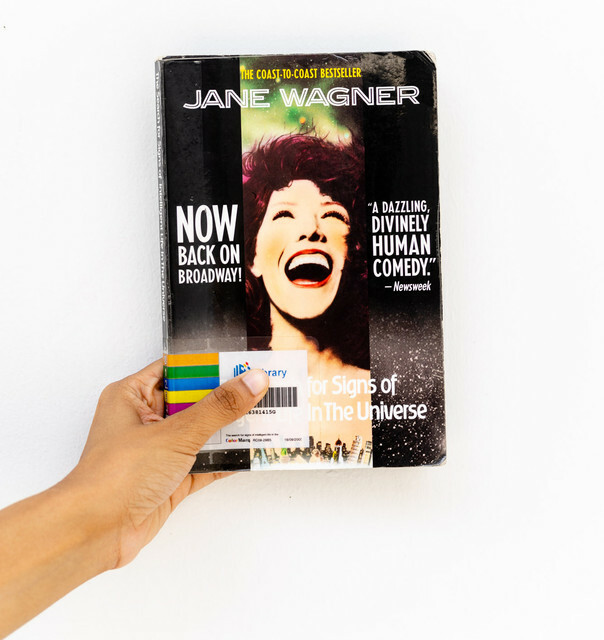 The club reads a wide variety of fiction and non-fiction books every month, and this month it was a play by Jane Wagner—The Search for Signs of Intelligent Life in the Universe. I was immediately greeted warmly by Debbie, the organiser of the book club. When everyone was present, we were given the reading materials and began self-introductions. This was when we got to know our partners a little more too. I was surprised to find that most of the attendees were not regulars, but newcomers of various backgrounds who were curious to experience something new. We were told that everyone was to read one paragraph of the play and pass it on to the next person. Alarm bells about public speaking were going off in my head, but it quickly became apparent that the group was welcoming and kind. 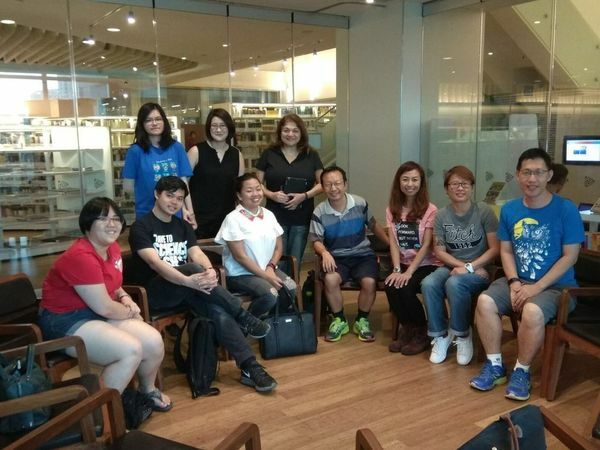 There were participants whose native language wasn’t English, and the group was accommodating and respectful towards those who had trouble mispronouncing words. The friendly and helpful atmosphere did lots to my confidence. Because it was a play, it was easy to even play-act the parts, as many in the group did as well. Between readings, we took breaks to discuss the play. It consists of several ridiculously humorous characters, whose lives intertwine. You have Trudy, who claims to be a “creative consultant” to aliens from outer space who are looking for the commodity referred to in the play’s title. And then there is Chrissy, a chronically unemployed young woman who is on a fruitless quest to happiness by self-improvement. The characters stumble into each other’s paths at some point in the play, showing how humanity is a web of surprising and unlikely interconnections. By being forced to verbalise the play with everyone else, traces of nervousness that were present in the beginning were mostly gone. Shockingly, I even contributed some thoughts on the play as well. The two-hour session flew by quickly, and I was surprised at how much I actually enjoyed it. By reading out loud, you get to “feel” the way the words sound, which is a different experience from reading silently. You also get to experience how others perceive the characters to be by the way they read their lines. So yes, afraid-of-public-speaking me would definitely join them again. If you’re interested too, their next meetup will be on 15 September, and they will be reading Anthony Bourdain’s Kitchen Confidential.